The Swampscott Farmers Market is primarily a market for local farms, produce, and locally sourced and crafted foods. We do, however, have a limited number of spaces for craft and arts vendors, with a maximum of 3-4 craft and arts vendors per week. The Swampscott Farmers’ Market aims to preserve and foster the well-being of our local agricultural system, protect farm open space from being developed, and to educate residents about healthy eating and maintaining a healthy environment while providing a wholesome social experience that helps build our local community. 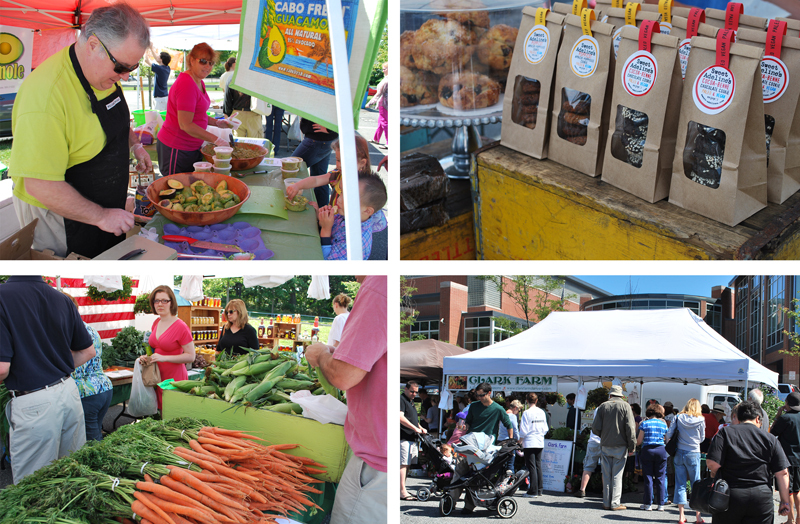 Every Sunday, starting on June 9th, 2019 through October, from 10:00am to 1:00pm, the Swampscott Farmers’ Market will be open for business at the Swampscott Town Hall, 22 Monument Avenue, Swampscott, MA. Rain or shine, the Farmers’ Market will feature a wide variety of produce, meats, fish, breads, flowers and crafts from farmers, food producers, and artisans from around Massachusetts and nearby New England states. The Swampscott Farmers Market will offer residents of Swampscott and the surrounding area a chance to catch up with neighbors and purchase fresh produce directly from local growers. This is our sixth year, we are excited to connect our community to our local producers and grow our vendor involvement over time. The more our community takes advantage of the market, the more successful the market will be in the coming years. The market is run by a team of passionate community volunteers. Let us know if you’re interested in joining us! **Craft vendor applications should be submitted by May 15th for priority scheduling of market dates. Craft applications received after May 15th will be considered based on availability. On September 8th and October 13th there will be no craft vendors scheduled at the market.